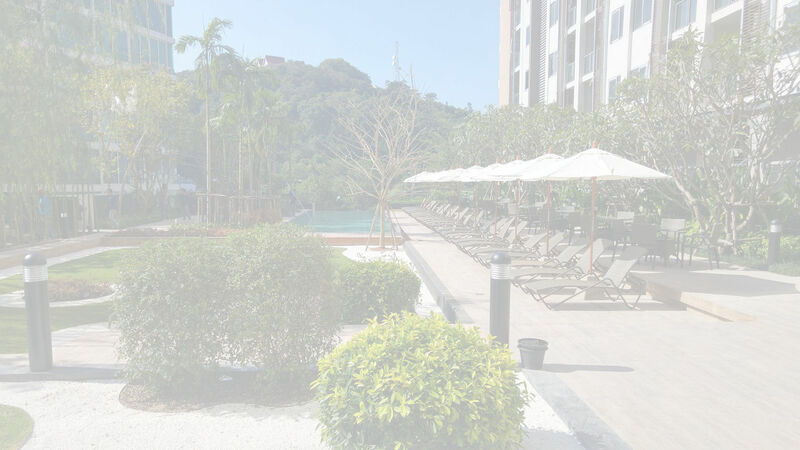 After exiting the Bangkok-Pattaya Motorway, take Sukhumvit Road to the South Pattaya Intersection (Big C shopping center is on the corner) and turn right onto South Pattaya Road. Take South Pattaya Road till you reach the first big intersection with a traffic light (Mitryon Pattaya motorcycle shop will be on your right) and turn left onto Pattaya Sai 3 Road. Take Pattaya Sai 3 Road till you reach the bridge going to Bali Hai Pier. Do not cross the bridge. Instead, take the road which runs parallel to the bridge until you reach the Kao Pratumnak Intersection (under the bridge) and turn left onto Pratumnak Road. 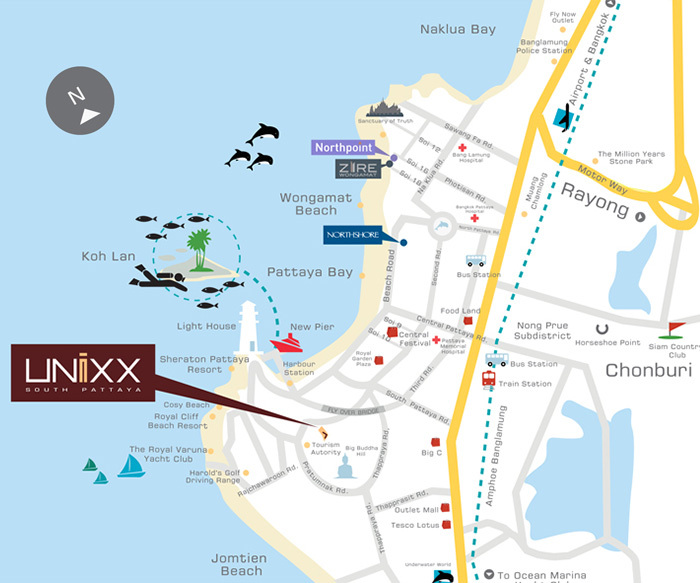 Take Pratumnak Road and Unixx South Pattaya will be on the left hand side after about 100 meters.